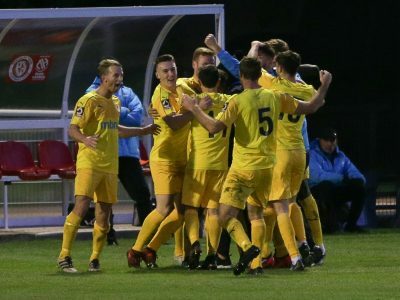 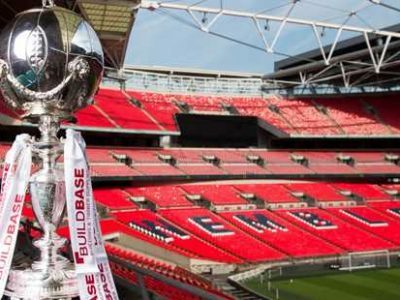 Chester FC or Southport FC will face Solihull Moors at home in the Buildbase FA Trophy First Round Proper. 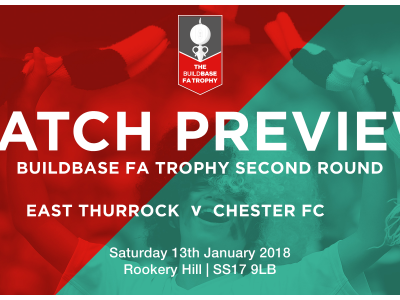 FA TROPHY | Southport replay takes place this Tuesday! 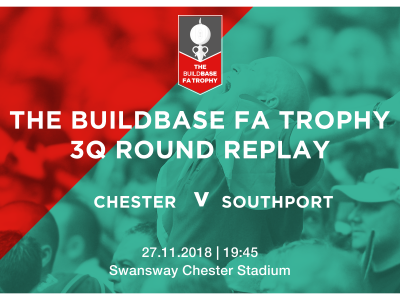 Chester FC will now host Southport in the Buildbase FA Trophy 3QR Replay on Tuesday 27th November – 7:45pm kick off. 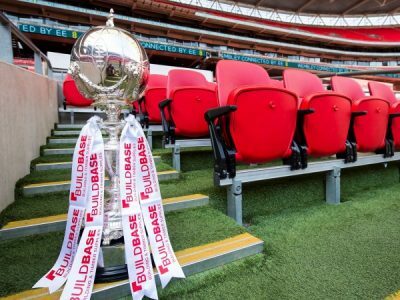 On Saturday 24th November, the Blues travel to Southport FC for a Buildbase FA Trophy qualifier. 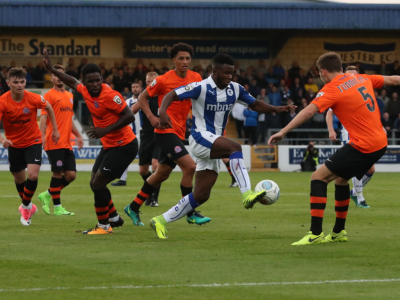 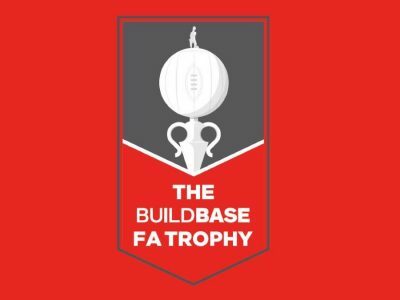 Chester FC will face East Thurrock United away in the Buildbase FA Trophy Second Round. 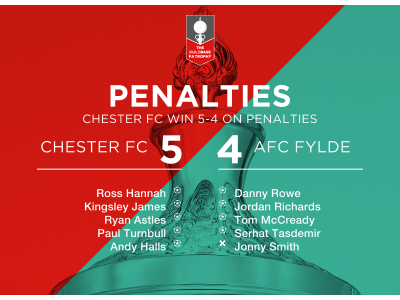 Chester are through to the second round of the Buildbase FA Trophy after defeating AFC Fylde on penalties. 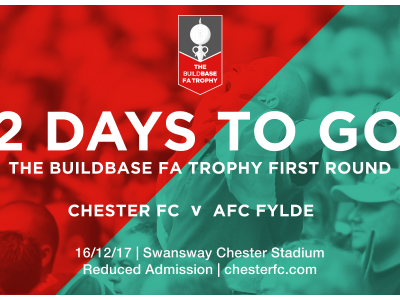 FA TROPHY | Reduced admission prices for the AFC Fylde game!